Senorita Martita – The Place to Shop For 60’s Dresses! The Sixties was a time of change and social development for women, creating the always changing fashion industry of the 1960s. 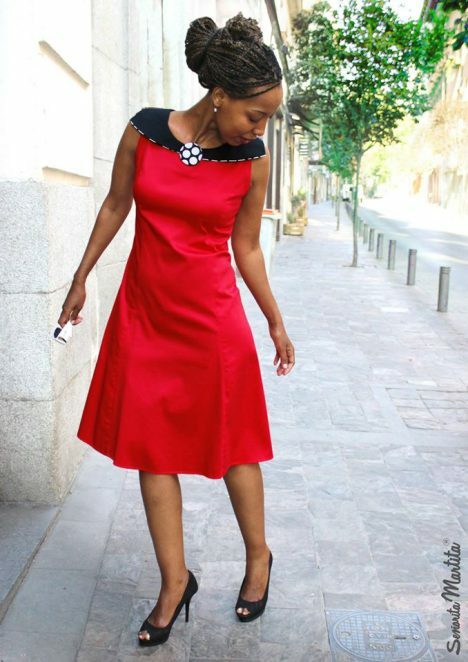 Senorita Martita, an vintage online shop, is dedicated to creating 60s inspired vintage dresses. The designer describes her dresses as playful and comfortable, crafting vintage dresses from soft cottons and silks. Martha is the head haunch-o and the imaginative brains behind Senorita Martita’s beautiful collections. She aims to fabricate high quality 1960 themed dresses that are versatile and stylish. The thought of parenting a line of dresses made of itchy tweed and heavy cottons would most likely make her cringe in discomfort. Women should be able to move freely and feel pleasant while remaining 60s chic. Originating in Madrid Spain, Senorita Martita dishes out delicious candy colored pieces. Martha’s love for bright eye-popping colors leads to very vibrant fashion collections. The Spring and Summer lines consist of free flowing short sun dresses and skirts as the Autumn and Winter collections carry button down coats, pea coats and adorable empire dresses with bows. The shop also offers a variety of charming patterns such as plaid but what really makes the dresses pop are the unique artistic designs. From bumble bees and flowers to dragon flies the bottom of some dresses are embroidered with these cute little numbers. Mint greens and tangerine oranges fill this online store with such life and color, composing such a groovy and timeless atmosphere. With so many collections and pieces for every season, the choices may seem a little overwhelming for one vintage lady to handle. Those over-loaded feelings are worth it to purchase a high quality 1960s inspired dress that will make a woman want to dance! From high collars to pleated skirt bottoms, Senorita Martita accommodates a luxurious 60’s feel in its online shop. Even creating its own fashion line for the ever-famous Barbie Doll. Barbie looks quit dashing with a high beehive hairstyle and a lively Magenta colored Sixties inspired dress. If these dresses don’t make a lady feel alive and want to sport a pillbox hat, then who knows what will! Senorita Martita is one of the best shops to satisfy a craving for 1960 inspired dresses.